Corporate outings are both a morale-boosting reward for your employees and an opportunity to bond together as a team. What better place to have fun and get to know your co-workers than the original Six Flags Over Texas? It&apos;s an outing that gives employees something to look forward to, as well as a chance to unwind after a productive season. 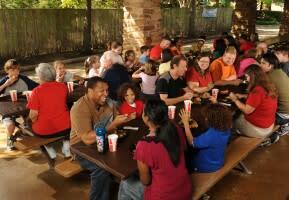 Six Flags Over Texas is also an ideal destination for reunions, educational outings, and youth groups. If you are looking to enjoy time together as a unit, you&apos;ve come to the right place. The park features 44 rides, including 12 roller coasters suitable for both families and thrill seekers, five water attractions, and even rides designed with tots in mind. Games and live entertainment round out the offerings, not to mention your favorite Looney Toons characters roaming the park. 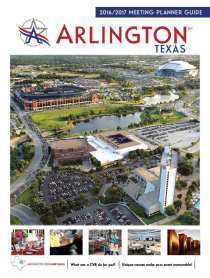 Six Flags Over Texas can accommodate hundreds of attendees, making it the perfect Arlington event venue. With a whopping 212 acres of excitement, this theme park is more than ready to host your crew. Yes, group packages are available! Both customizable and surprisingly affordable, at Six Flags Over Texas, we are happy to work with you to plan the perfect day for any group size. Just let us know your goals and party size. For the largest groups, you may be interested in the highly memorable experience of an entire park buyout. Your guests can enjoy private, exclusive access to all of Six Flags Over Texas, often for less than the regular admission price. Everyone will delight in the minimal wait times for rides and the easy parking. If a whole day isn&apos;t possible, consider a few hours of exclusive time, either before the park opens or after it closes. Available rental spaces include a variety of indoor theaters. Choose from the 250-seat Crazy Horse Saloon or go all out in the 9,500-seat Music Hill; there are plenty of options in between, too. Plus, AV equipment and assistance is available to help you carry off your presentation in serious style. Is a picnic on the agenda? Not to worry. Outdoor picnic pavilions are up to the task and the professional catering team is happy to help. Whether you are inviting 100 guests or 20,000, we can provide the Texas classics you crave, such as BBQ brisket, smoked sausage, fried chicken, mouth-watering desserts, and so much more. There&apos;s no need to worry about meals when we&apos;re overseeing your special event. Would you like to offer your guests meal vouchers, pre-paid parking, or Daffy Dollars? Need your tickets delivered in advance? How about some promotional materials for the office? All of that can be arranged—just say the word. An assortment of add-ons are also available to make your day all the more enjoyable. Inquire about festive extras such as souvenir photos, face painting, caricature artists, a DJ, or private shows. When it comes to a team-building adventure, Six Flags Over Texas can&apos;t be beat as the ultimate venue. Whether you are looking to reward employees or reunite with old classmates, planning an event at Six Flags Over Texas is sure to be a crowd pleaser. Go ahead, let us do all the work while you have all the fun.